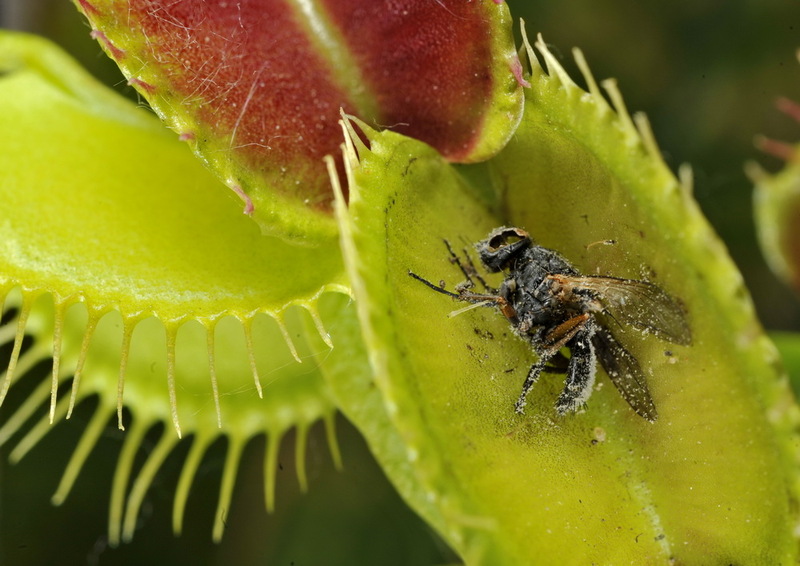 All animals have to turn ultimately on plants for their food, but in some rare cases this situation is reversed. 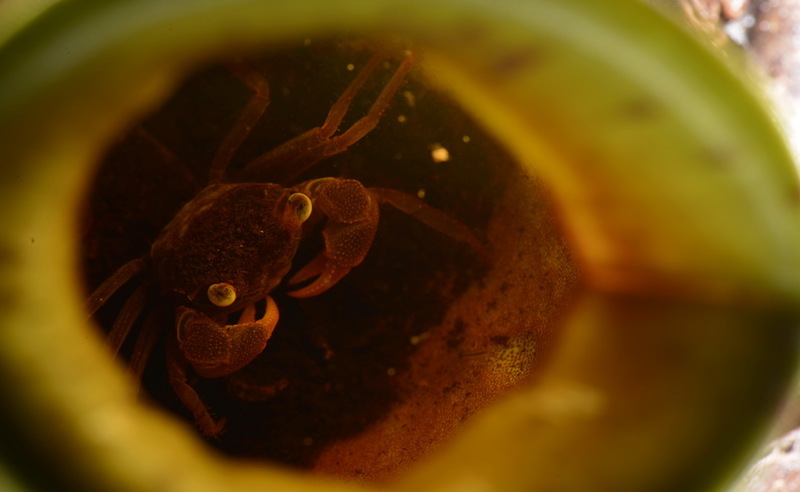 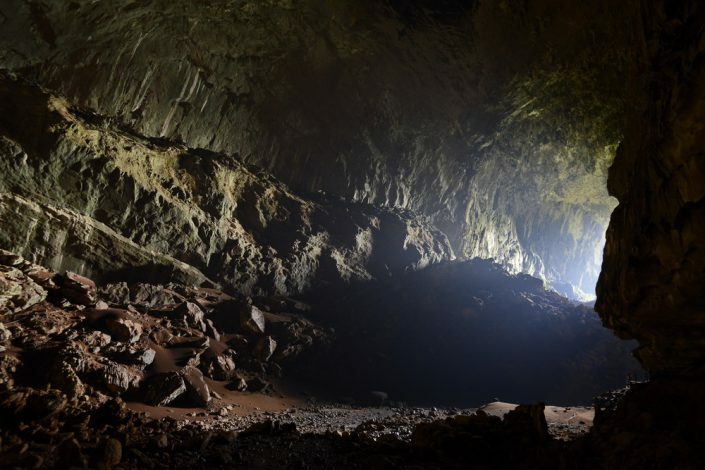 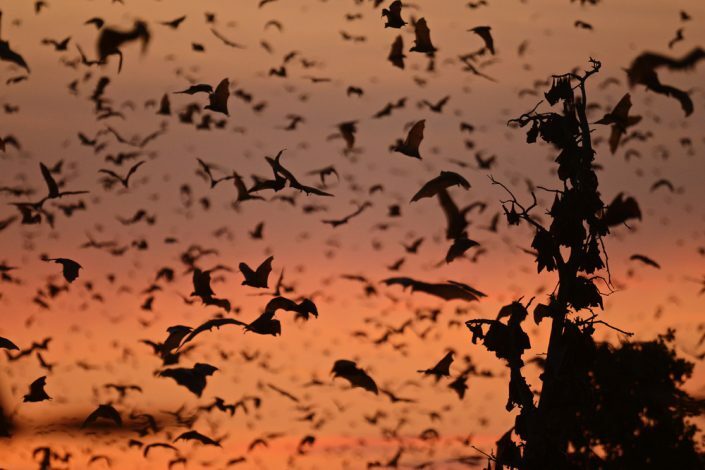 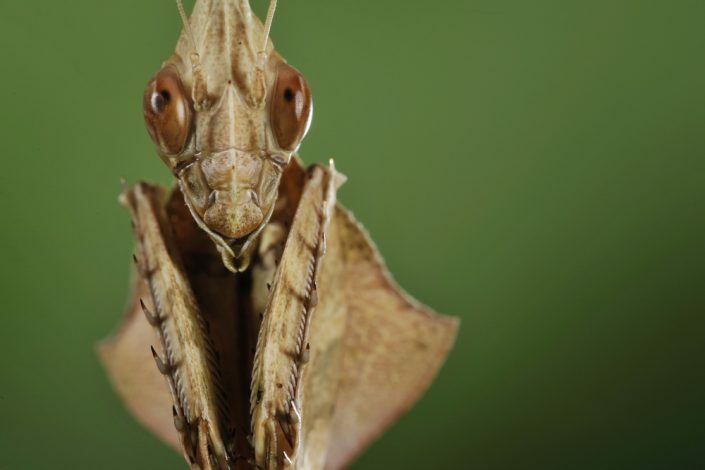 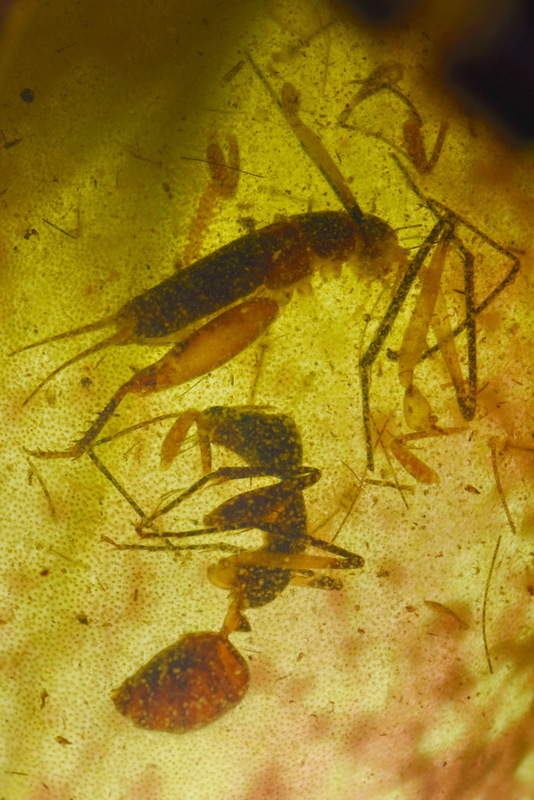 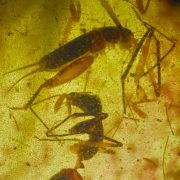 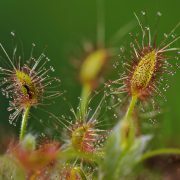 Some species of plants living in impoverished evironment, like bogs, marshes and rocky slopes washed by rains, have become hunters, able to catch small animal prey. 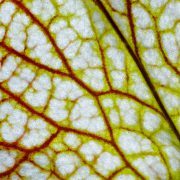 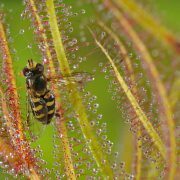 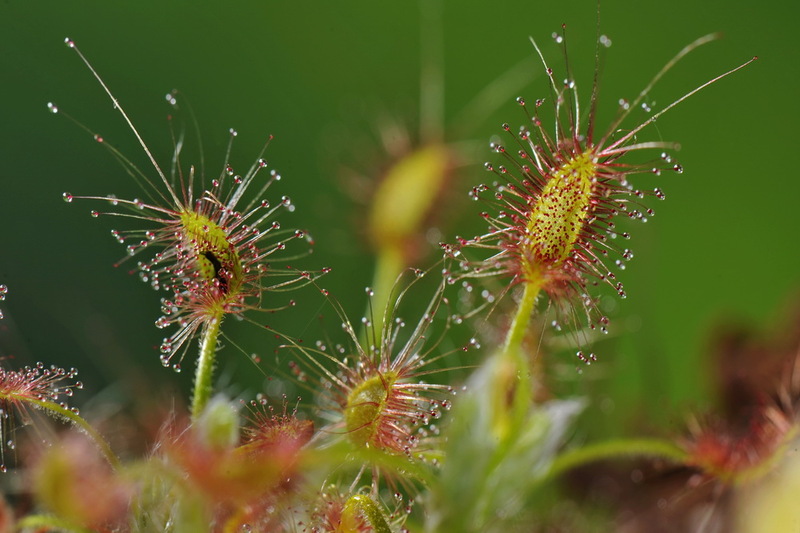 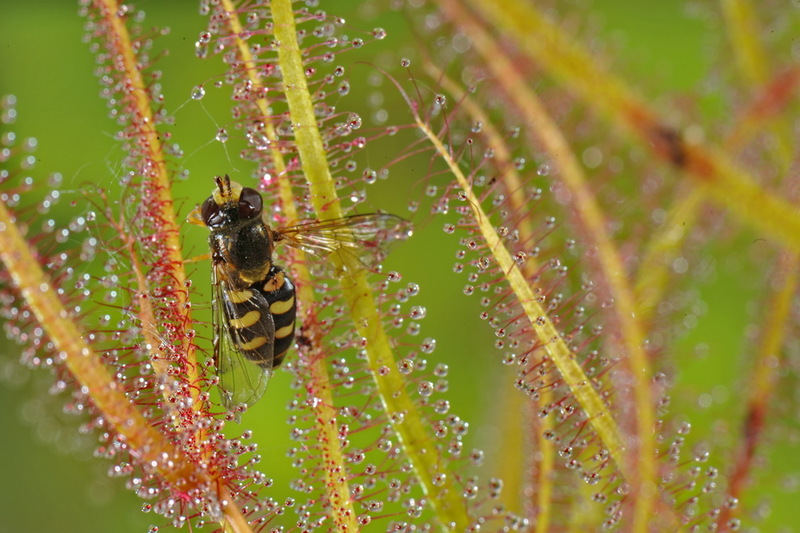 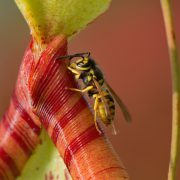 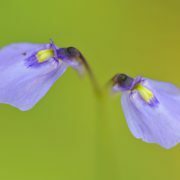 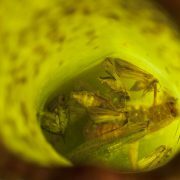 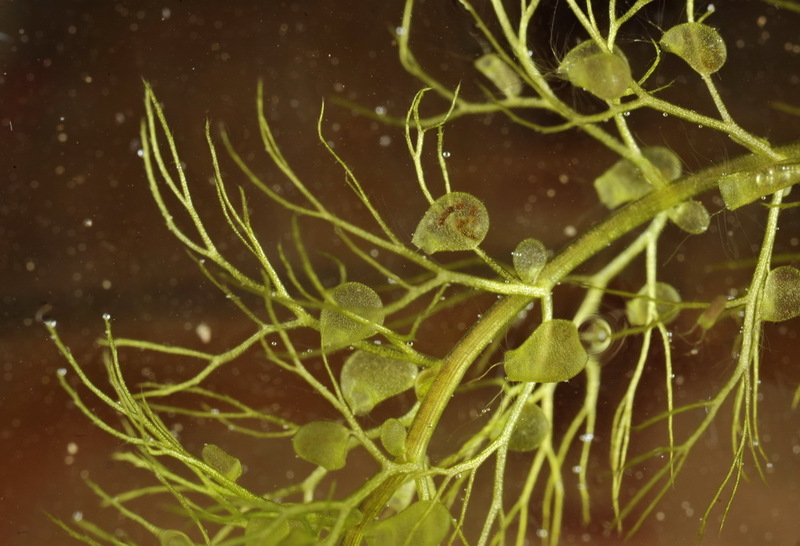 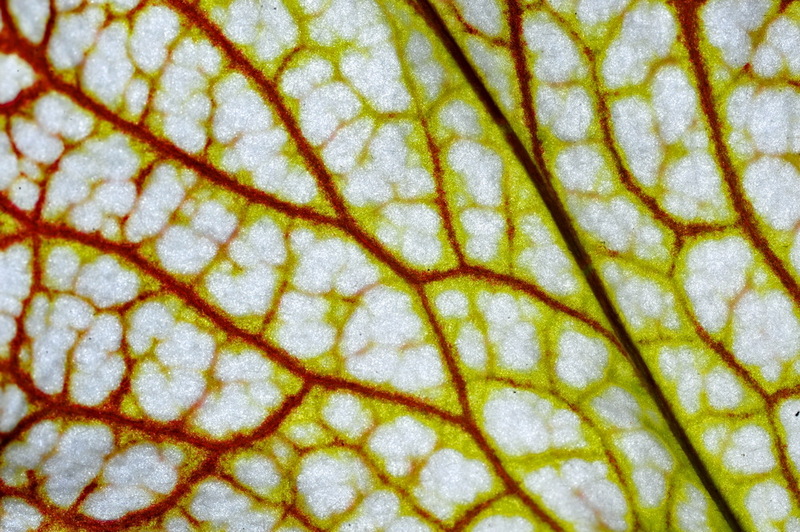 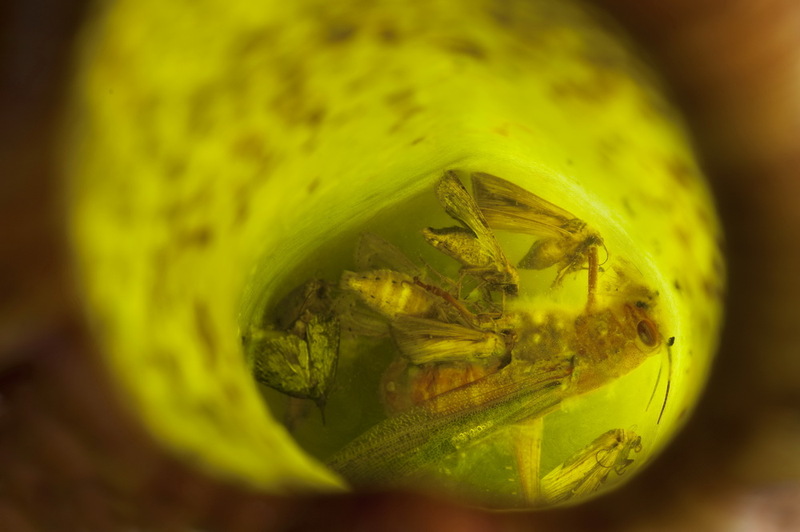 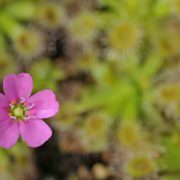 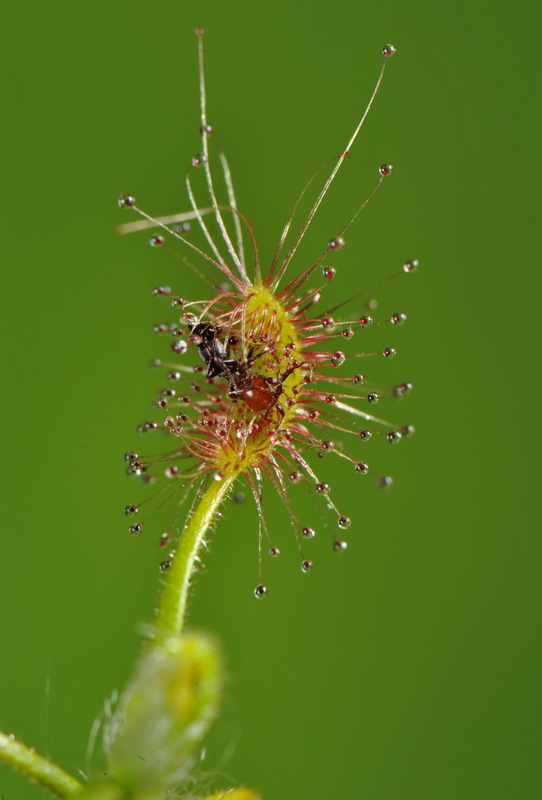 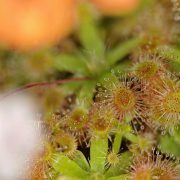 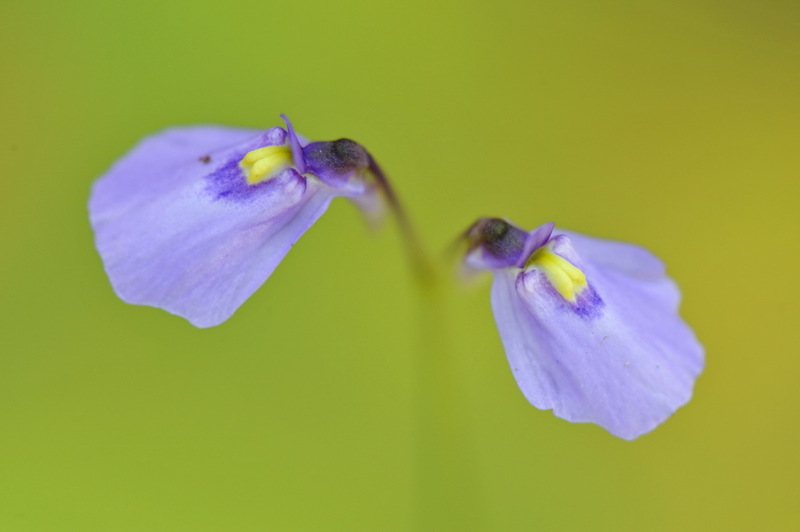 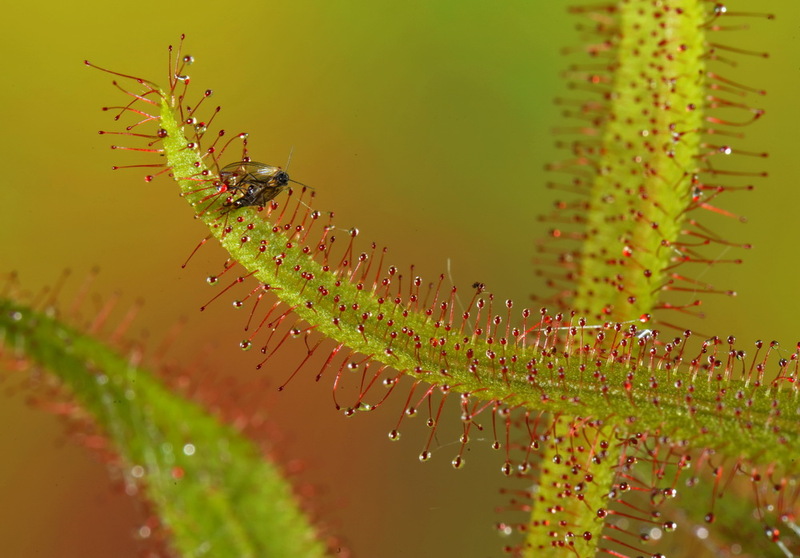 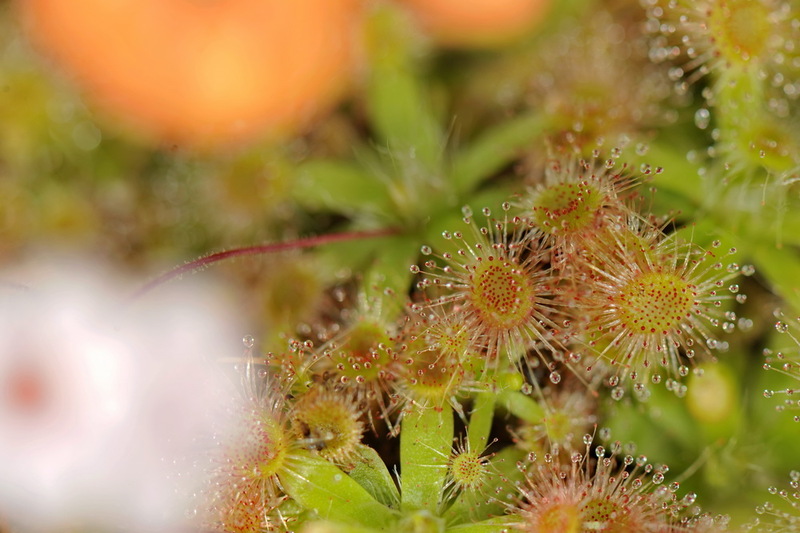 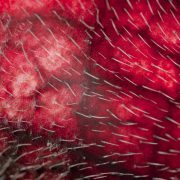 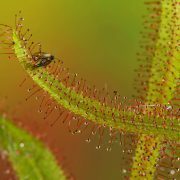 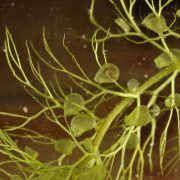 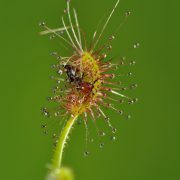 Carnivorous plants achieve incredible goals for a plant: they are able to move fast and even to count. 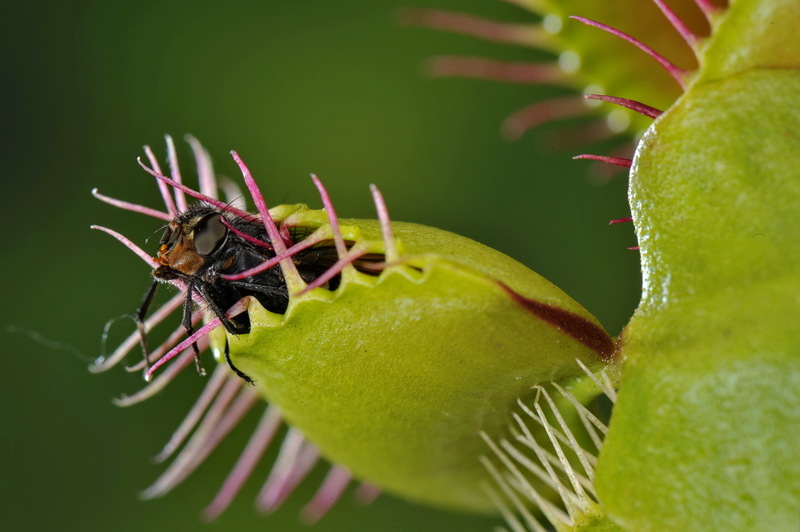 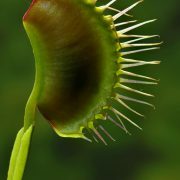 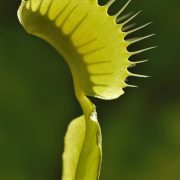 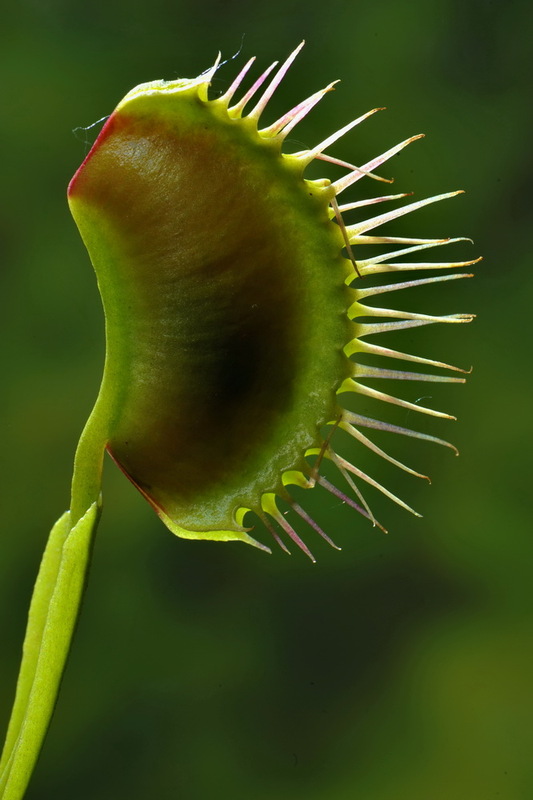 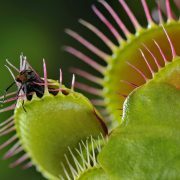 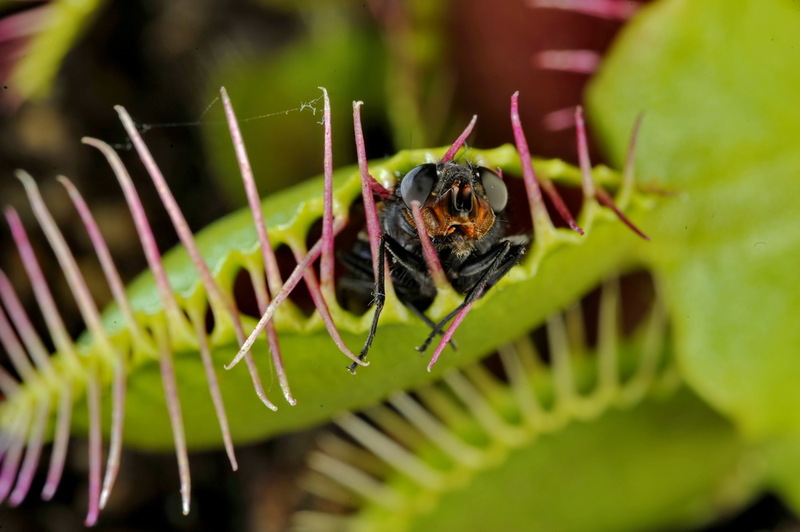 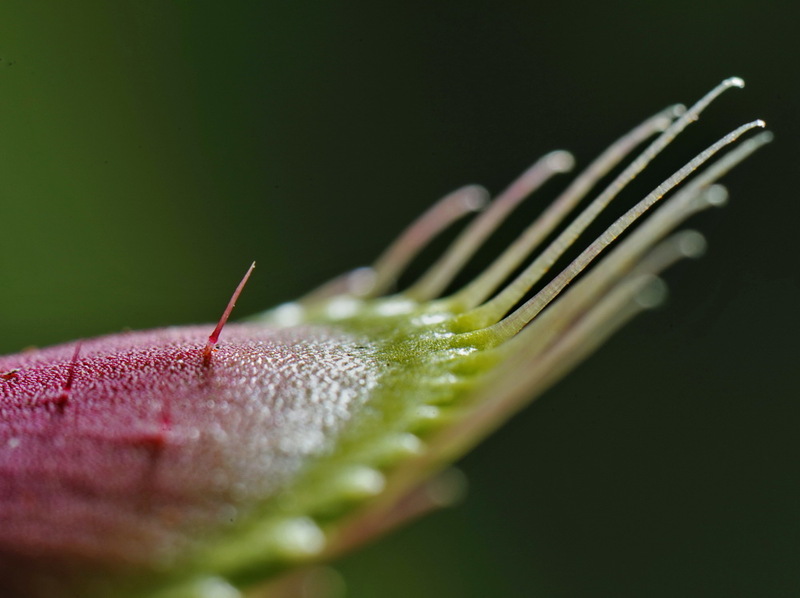 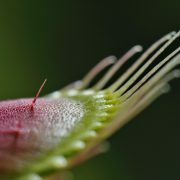 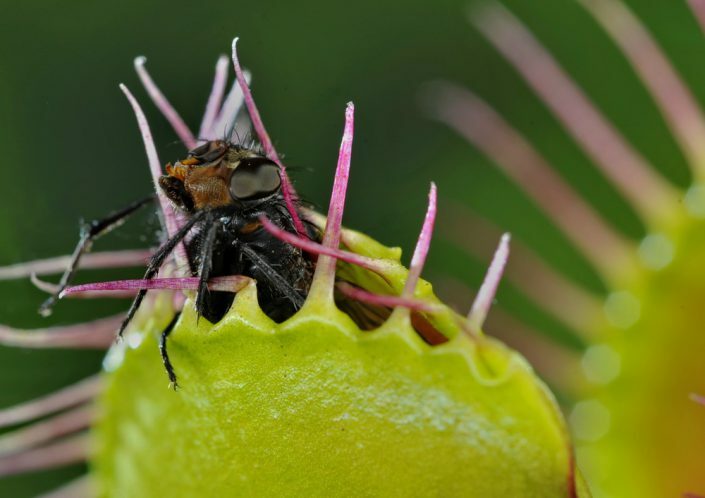 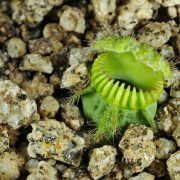 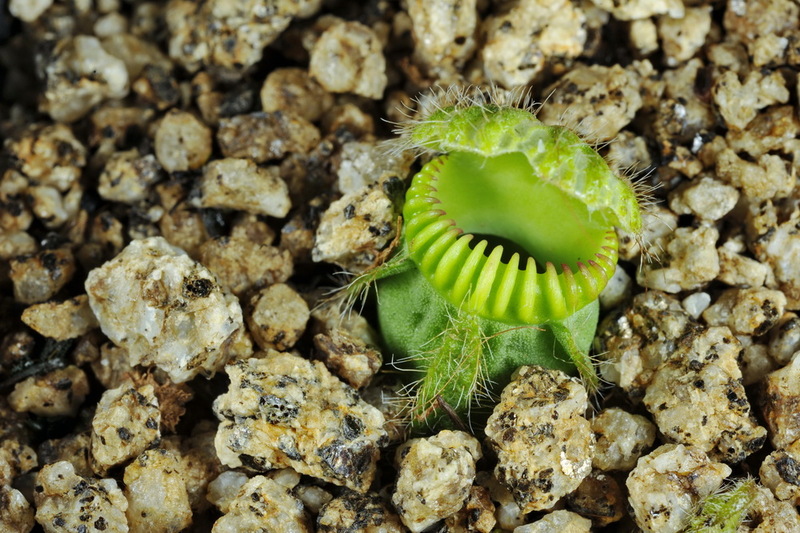 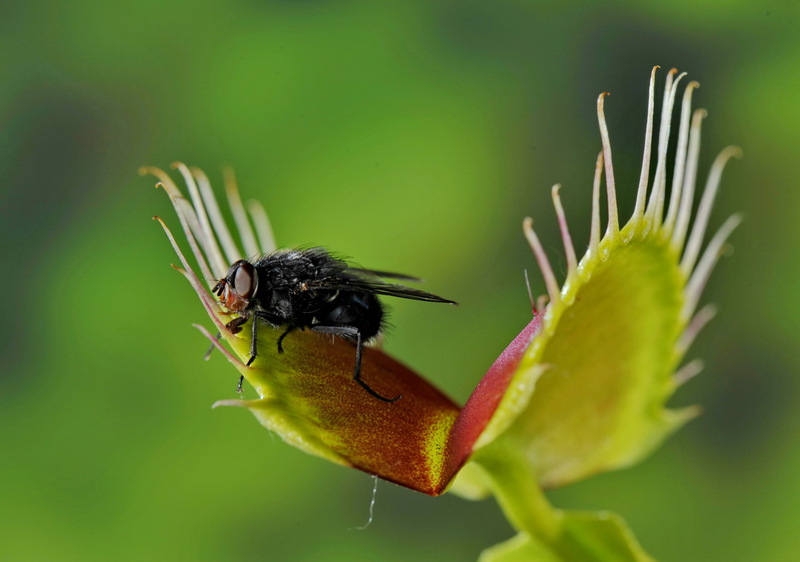 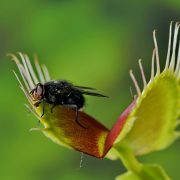 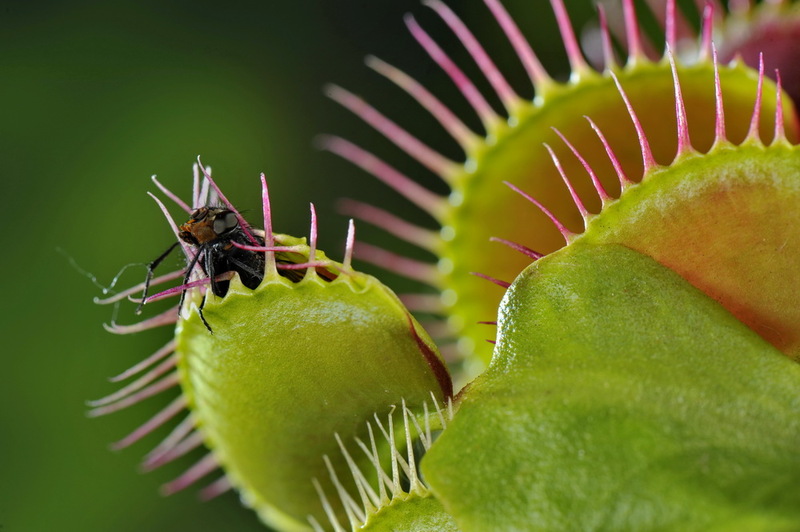 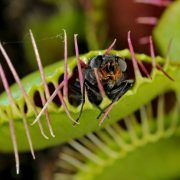 The venus flytrap (Dionaea muscipula) closes its jaws so fast to trap a fly, but only if at least two of its sensible trigger hairs are touched. 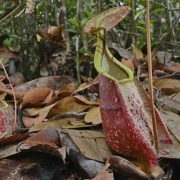 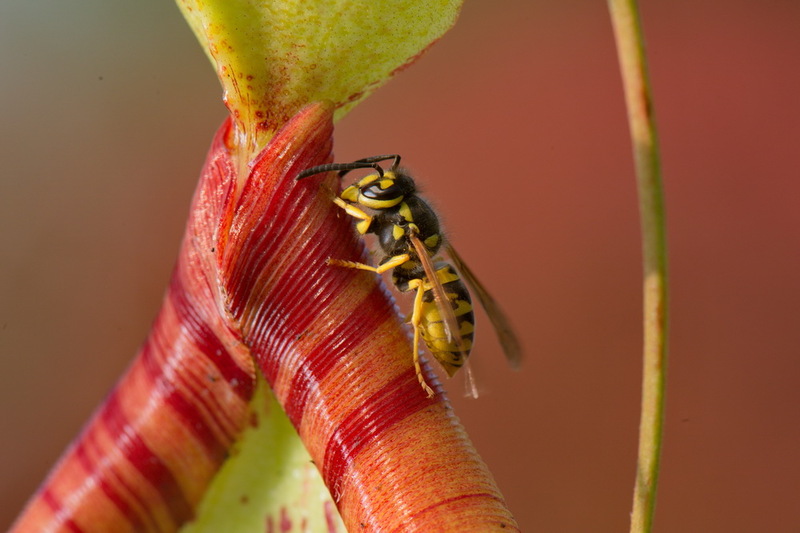 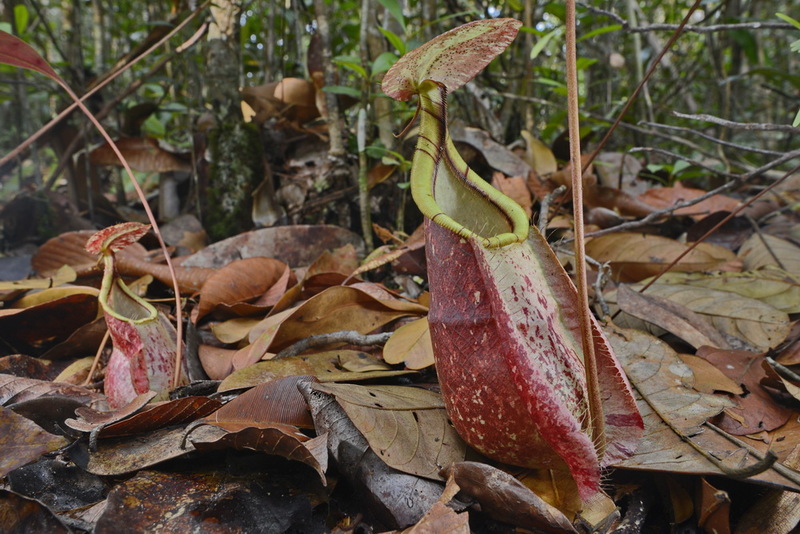 Other species, like the very big Nepenthes from South East Asia, are able to catch even small vertebrates, like rodents and reptiles, attracting them with nectar or specific odour. 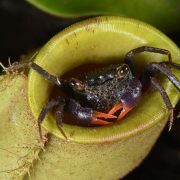 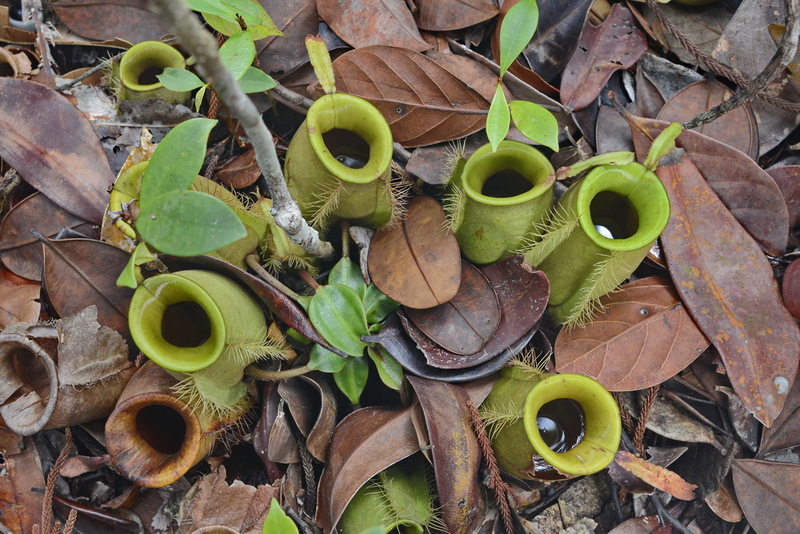 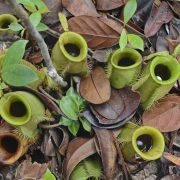 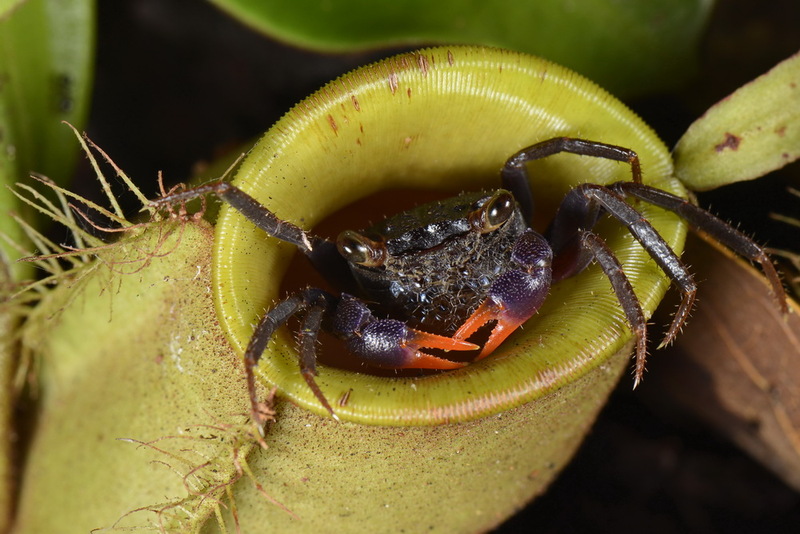 Some of them anyway, have a symbiotic relationship with different animals, like crabs, able to live and feed inside Nepenthes ampullaria. 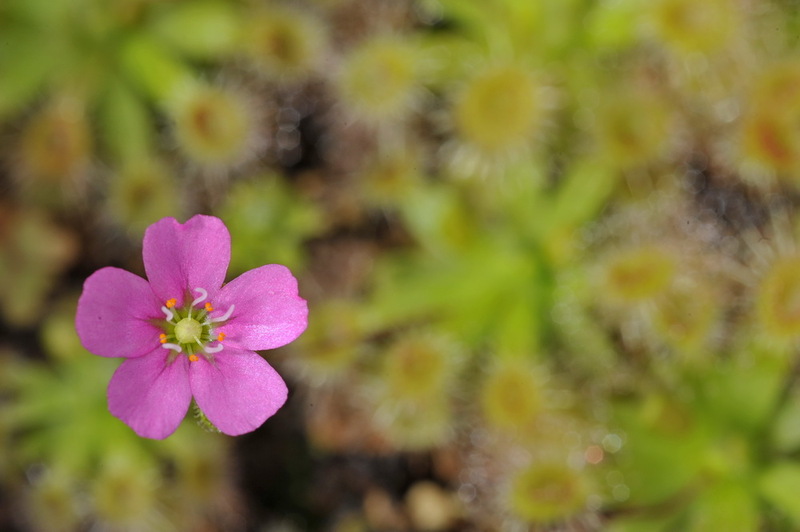 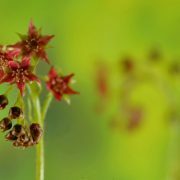 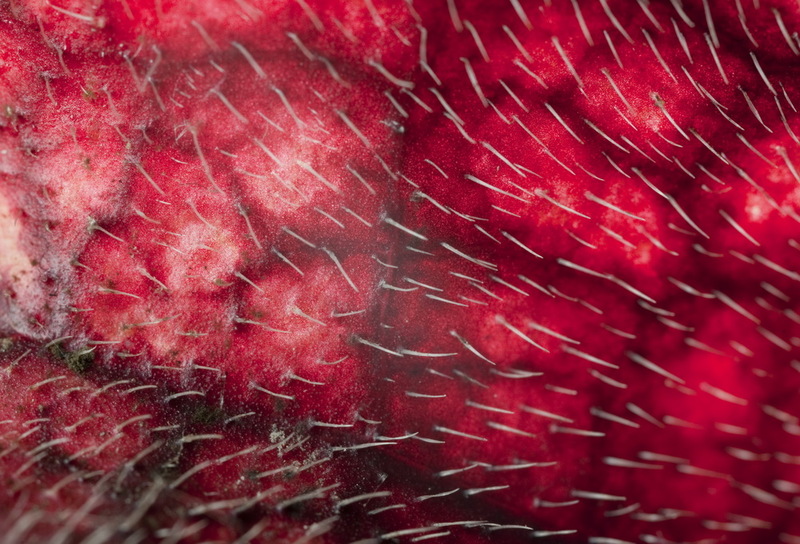 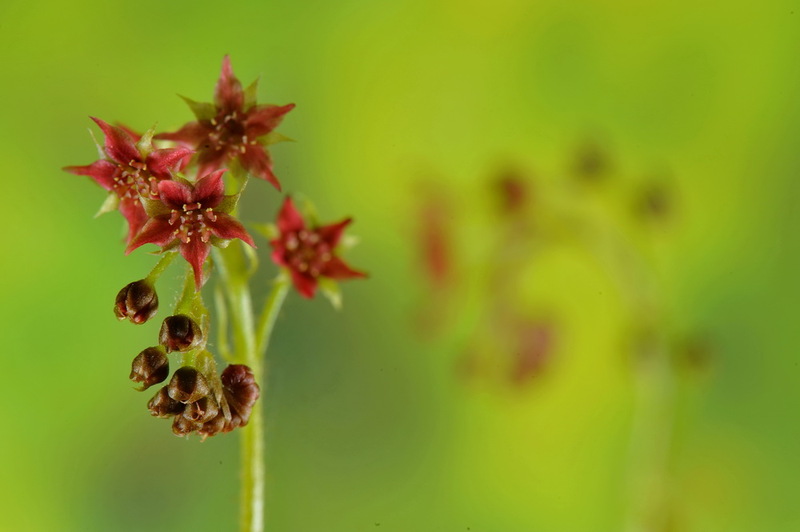 When they need to reproduce, they produce flowers, like many other plants. 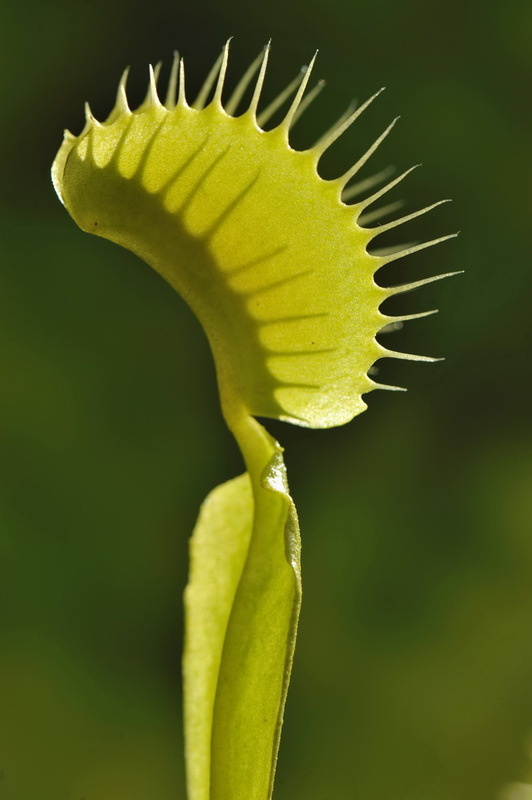 But the plant send them up on a long stalk, to hold the flower well clear of their deadly traps. 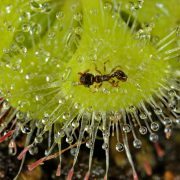 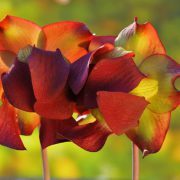 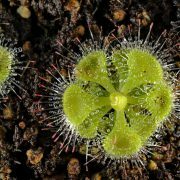 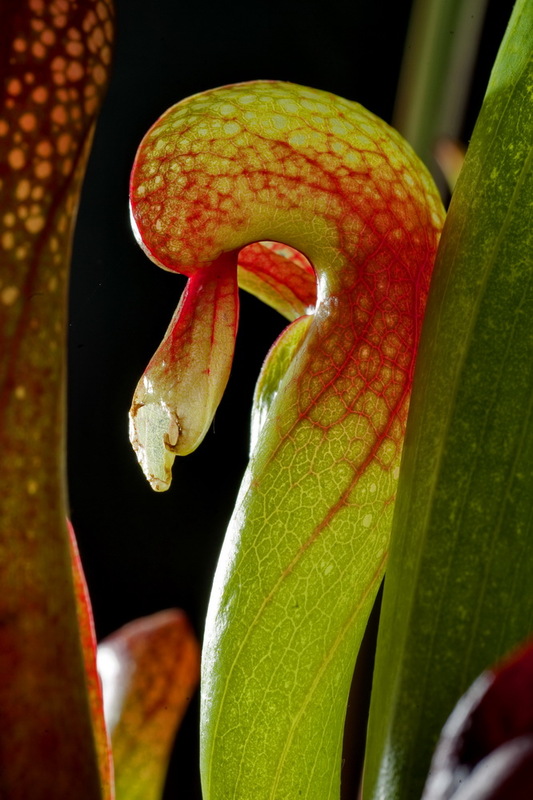 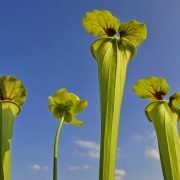 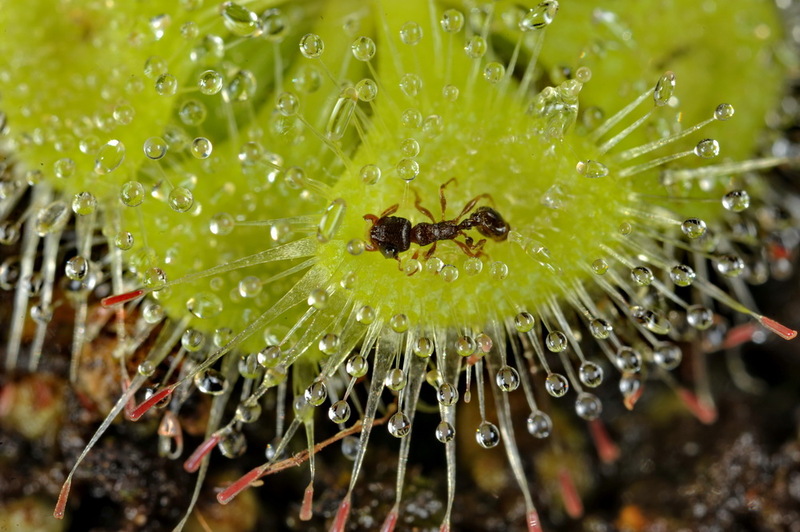 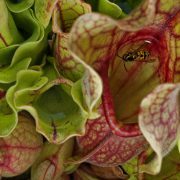 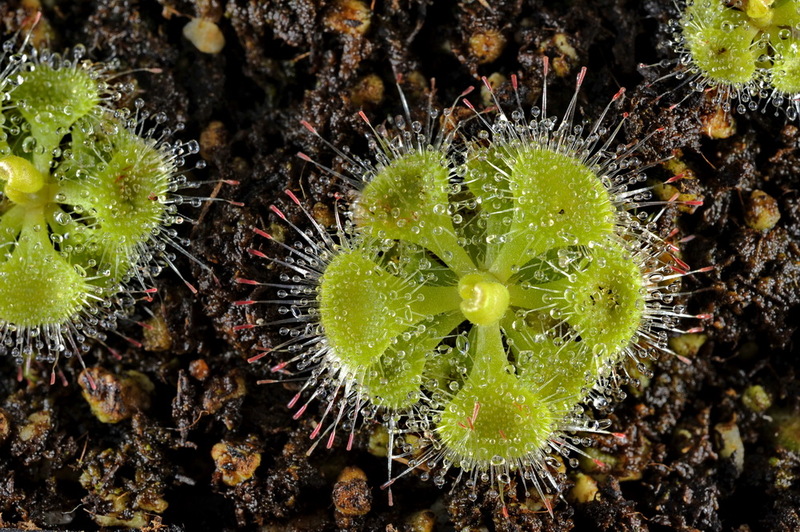 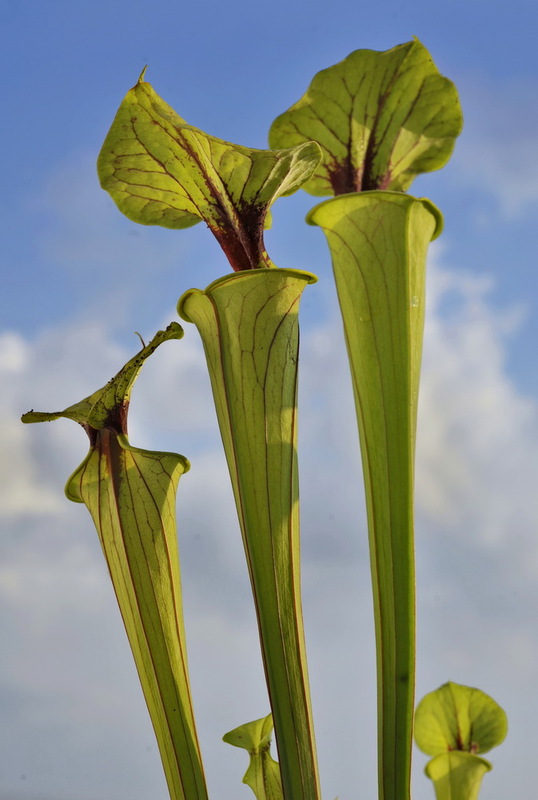 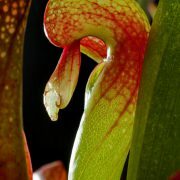 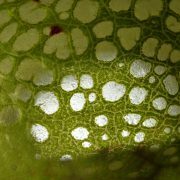 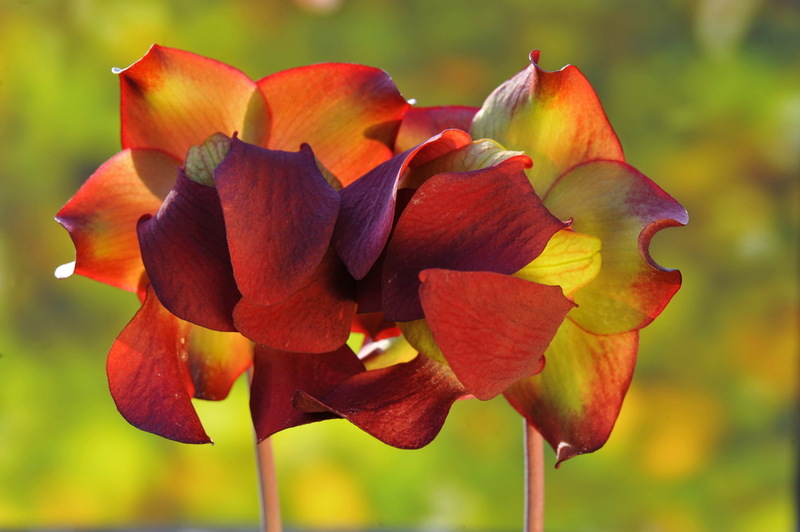 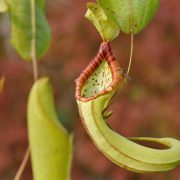 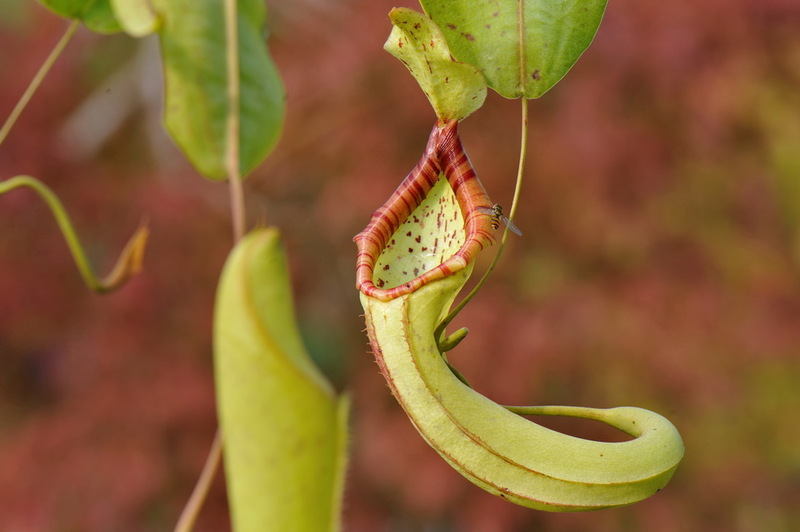 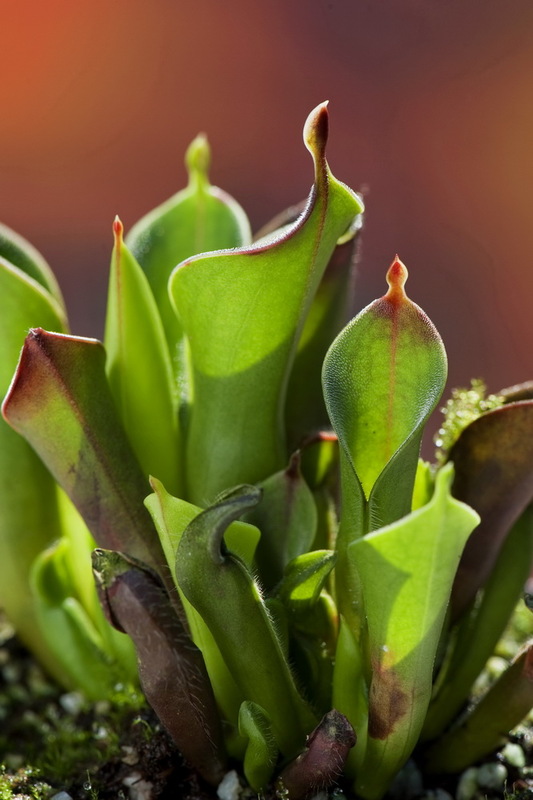 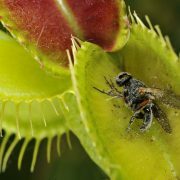 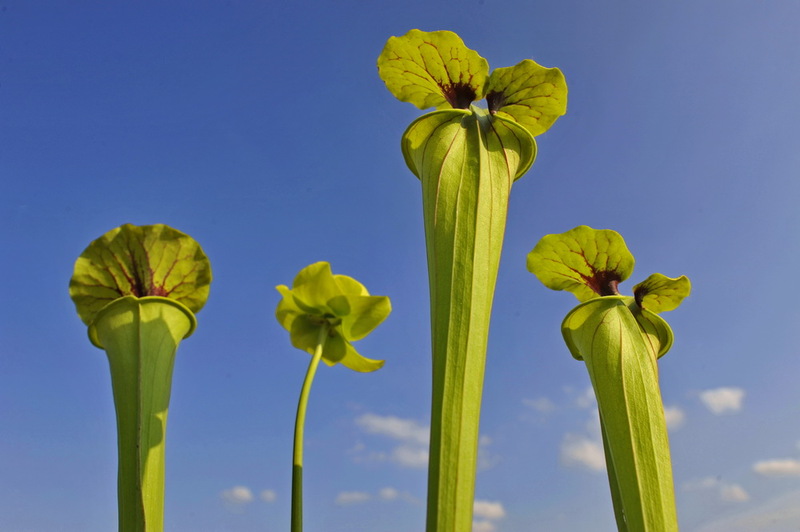 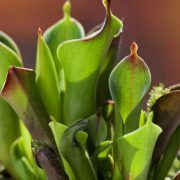 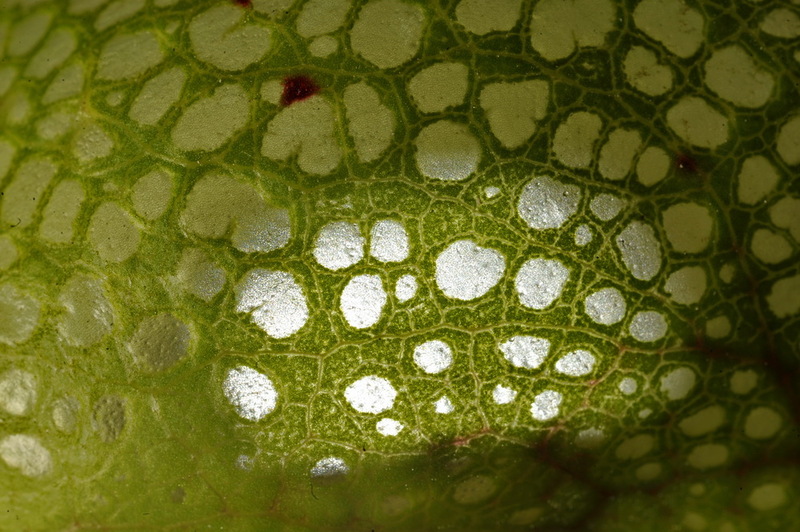 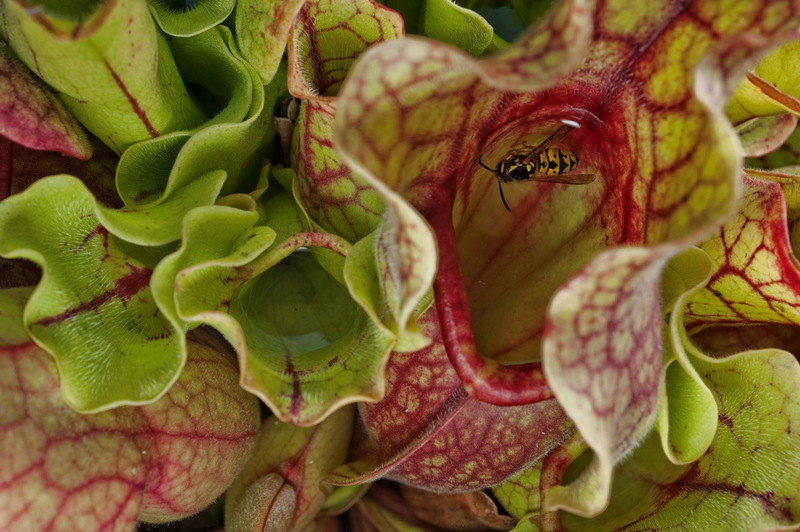 Keywords: Dionaea, Sarracenia, Cephalotus, Darlingtonia, Drosera, Heliamphora, Nepenthes, ampullaria, geosesarma, Roridula, Utricularia, venus flytrip, pitcher plant, trumpet pitcher, carnivorous plants, flower, piante, carnivore. 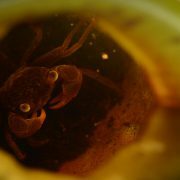 Special thanks to Rita Corino and Daniele Righetti.